Home Czech republic V4 Report. Have the elections in Austria and Czech Republic influenced the Fico government? V4 Report. 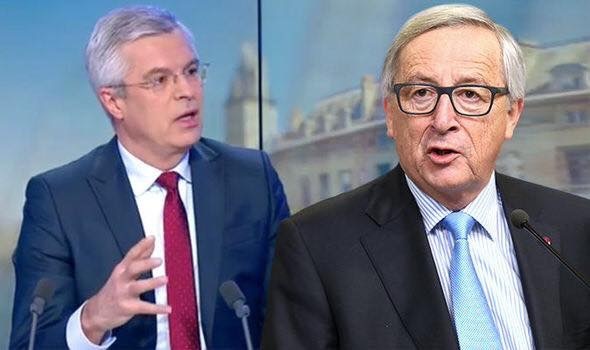 Slovakian European Affairs minister Ivan Korcok destroyed Jean-Claude Juncker’s plans for a more integrated European Union saying Brussels should concentrate on resolving a ten-year long “crisis” within the institution. Have the elections in Austria and Czech Republic influenced the Fico government? We shall see. According to the Express, Mr Korcok said Brussels should focus on fixing problems within the European Union rather than attempting to expand its control over member states. Jean-Claude Juncker used his annual State of the Union address in September 2017 to push his dream of greater financial integration and a European finance minister. Under his vision, the EU would become a more federalist organization and joining the euro currency and passport-free Schengen zone would the be norm across the continent. Mr Juncker promised to propose technical and financial help for the willing to join the eurozone, but the Slovakian European Affairs minister signaled plans to expand EU control over member states would not meet the approval of EU citizens. Slovakia and the Visegrád Four have clashed with Brussels over migrant quotas and the EU’s attempts to interfere in the affairs of national governments. They have raised concerns over Brussels plans to bring in pan-European MEPs after Brexit, saying it would be better to boost “democratic control by national parliaments”. They have also slammed the EU for trying to put the brakes on domestic reforms in central Europe amid a debate over the independence of NGOs and the judiciary across Hungary and Poland. We voiced our strong concerns over some of Fico’s statements last summer, but never considered Slovakia lost. Like the Czechs who must battle a hostile, anti-V4 media, the Slovakian people realize their culture is Visegrad and Central Europe, not the “no-go-zones” of Paris and EU Core.